The Walt Disney Studios Chairman Alan Horn was interviewed on April 2nd by The Hollywood Reporter‘s Stephen Galloway at Loyola Marymount University School of Film and Television in Los Angeles and was asked about the status of Star Wars: Episode VII. As far as casting, Horn said “we have a lot of them, it’s just not completely done yet.” Of course, no one has officially been announced yet. He did add that casting has been the toughest part. He was also asked about the rumor that filming starts in six weeks (on May 14th to be exact), but Horn revealed that they have already started. “Actually, we’re shooting some of it now,” he said. He said getting the script right has been very important, considering the movie takes place after the events of “Return of the Jedi” and that was released over 30 years ago. “It’s all about the screenplay. It has to be screenplay, screenplay, screenplay.” He assured that the screenplay is now where it needs to be. The script was written by Lawrence Kasdan and J.J. Abrams, following an early draft by Michael Arndt. 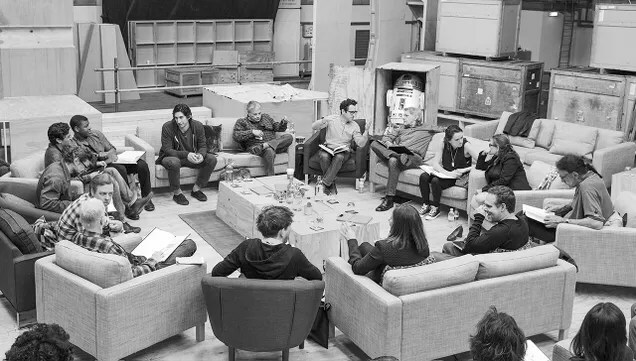 Star Wars: Episode VII hits theaters on December 18, 2015 and follows a trio of new young leads along with some very familiar faces. You can watch the interview segment below.